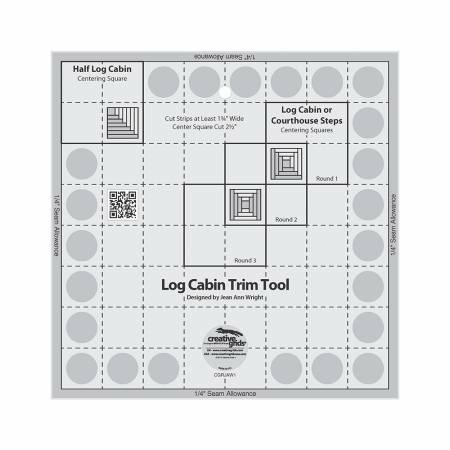 Create perfect Log Cabin, Half-Log Cabin & Courthouse Steps blocks by squaring up each round of logs as you go. Since each round of logs is squared up before the next set is added, the results are spectacular. Our exclusive embedded gripper holds fabric while cutting when pressure is applied.